Exchange Server Best Practices | LG Networks, Inc. | LG Networks, Inc.
You can make your Exchange infrastructure more resilient by first understanding it. By knowing what is going on in your Exchange infrastructure and how each component behaves, you can solve several problems before they occur. By default, the Exchange System Manager will give you some information about the system, but it can’t tell you when you’re having issues with network drivers or server hardware such as RAM, or even issues such as full disks and so forth. For this, you need a series of additional tools—tools that know and understand Exchange – for monitoring, diagnostics and troubleshooting. One of the most popular tools for this is Microsoft Operations Manager (MOM). MOM provides an operator console that lets administrators know the health of the system. MOM’s framework lets software developers create special management packs for specific products. As part of its new Common Engineering Criteria, Microsoft ensures that new management packs are delivered with each and every component of the Windows Server System. 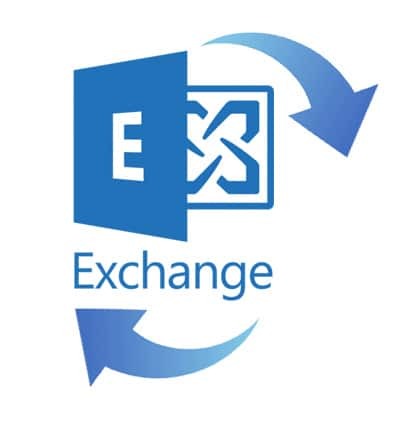 With the Exchange Server Management Pack, operators get expert help on the health of their Exchange servers. The management pack includes a definition of a healthy state for the server and will automatically raise alerts if it detects special events or performance degradations. Upon the generation of an alert, MOM can even take proactive action, such as running a script to clear data on a disk, or shutting down non-essential services to ensure the continued operation of a critical component. In addition to the Exchange Server Management Pack, Microsoft has produced an Exchange Best Practice Analyzer Management Pack. This Management Pack runs against your Exchange infrastructure to gauge its general health status. It identifies configuration issues and indicates whether your configuration is supported by Microsoft or not. This tool is a must for any organization running Exchange. While MOM is a great tool, it should be supplemented with additional tools for diagnostics and troubleshooting. These tools can help provide continued health status for Exchange services and a very comprehensive set of instructions on how the problem can be resolved when issues do occur. Ideally, the tools you use to supplement MOM would provide you with a visual representation of the health of your Exchange system. Visual representations of all of the Exchange components provide a compelling story since they clearly demonstrate what is happening in real time. And, when issues do arise, they allow you to drill down into the problematic system and diagnose the problem rapidly and effectively. Once the diagnosis is complete, it should also provide you with step-by-step instructions for problem resolution. In these scenarios, MOM is used to identify when problems exist and the supplemental tools can help diagnose and troubleshoot difficulties. No matter which toolkit you use, the most important management changes you could bring to your Exchange services are standard operating procedures and documented operational practices. Both the industry and Microsoft provide help on this in the form of documented guidance. You should look to this guidance before reviewing your current operational practices and streamlining them to make sure everyone performs tasks in the same manner. In addition, you’ll need to make sure everyone documents changes. In many cases configuration change management will help solve issues before they ever occur.